Finding enough pantry space can be a challenge in most new homes but regardless of how much shelving you’ve got, don’t overlook utilizing the space on the back of the door. You’ll be surprised how many storage solutions you can find at stores like HomeSense, Canadian Tire and Solutions that are specifically designed to go behind the door. See-through compartments or wire racks are wonderful for storing small items boxes of baking soda or household cleaners. 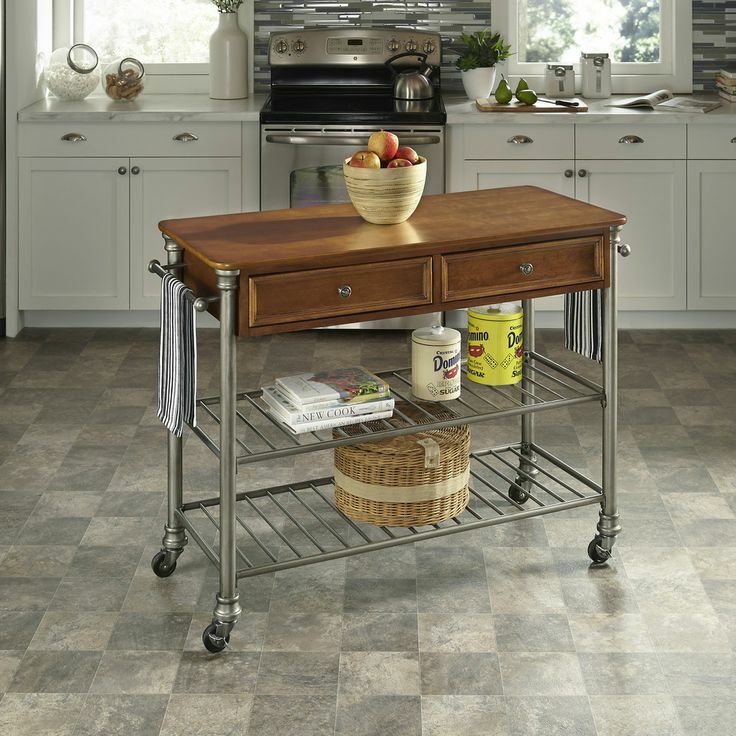 Not only will a stylish roll-in cart give new home owners more surface area in their kitchen, the open storage can help with overflow pots and pans. When entertaining, the rolling cart also provides a good aid for transporting dishes from the kitchen to the dining room and back again. 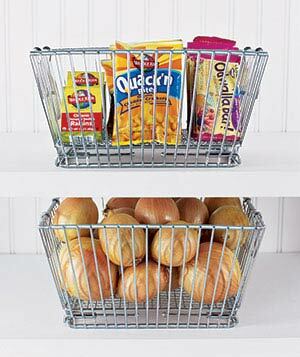 Utilizing bins to store like items is a great way to stay organized. 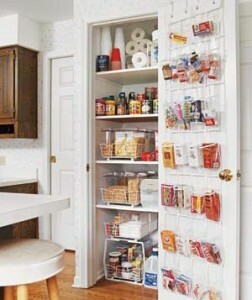 Open concept bins inside your pantry can make navigating inside your pantry go much more smoothly. New home owners can avoid the frustration of not seeing what they’re looking for by ensuring all items are relatively visible by using see-through bins and storage. Sometimes new home owners find that the height of their kitchen cabinet shelves might be higher than they need which is a great reason to introduce shelve separations like a lazy susan. 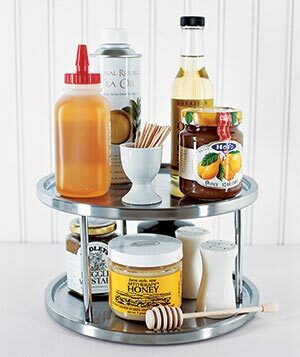 Not only are these great for small jars like spices, but they’re ease of cleaning makes them particularly attractive for messier containers like jars of jams and nut butters. 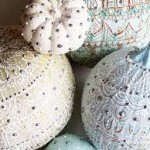 For more great organisation tips and decorating ideas for your new home, be sure to vis the Mosaik Homes Facebook Page!